The aroma of cinnamon, espresso and homemade cookies fills the air as the elevator doors open to the sixth floor of the Beus Center for Law and Society on the Downtown Phoenix Campus . “Welcome to City Central Coffee,” says the barista with a quirky smile and New York accent. 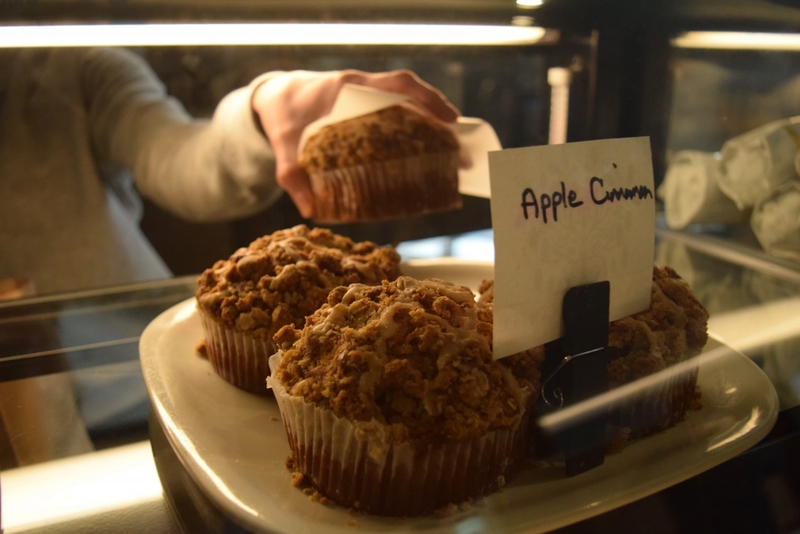 Walking in you can hear the furious click-clack of students pounding out papers on their laptops and the buzz and hum of the espresso maker from behind the counter. You can hear students ordering from their menu of signature drinks in the distance. Damian Serafine, 52, is a self-proclaimed coffee guru and owner of City Central Coffee. He has been working in the coffee industry for over a decade. Serafine originally learned to roast coffee in New York. However, drawn in by the sunny weather of Phoenix, he decided to move to Arizona in 1992. This journey led Serafine to become one of the first coffee roasters and coffee shop owners in downtown Phoenix. Serafine left coffee beans behind in 1999 to enter the world of real estate. However, he decided to come back to his original love, coffee. “The minute I learned to roast in New York, I just thought coffee was amazing,” Serafine says. This love eventually took him to Guatemala. It was amazing to look at a tree and see the way each one was picked by hand, dried out and roasted to bring you different flavors, Serafine says. This passion led to opening to City Central Coffee. 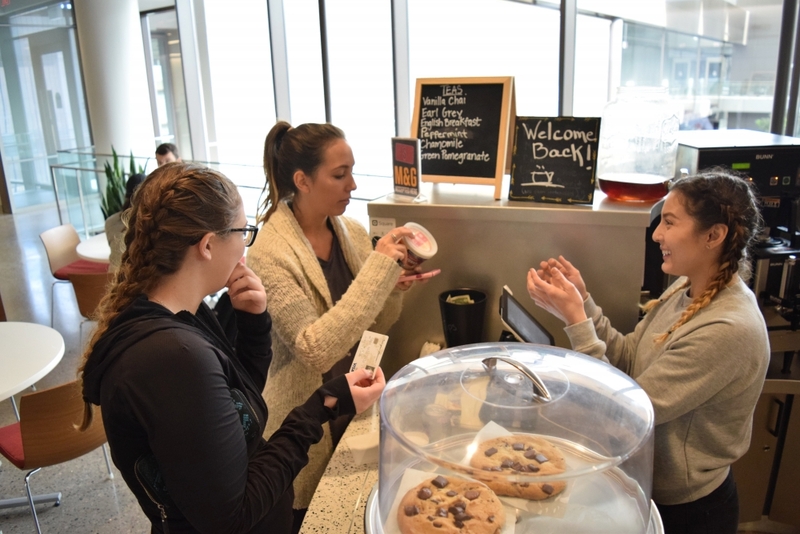 Aramark contacted Serafine and proposed the idea of opening of a coffee shop in the Beus Center for Law and Society. Alyssa Villegas is a junior at the Walter Cronkite School of Journalism and Mass Communication. She has been a regular at City Central Coffee since last semester. “The atmosphere makes it a great place for me to do homework or just relax in between classes,” Villegas says. Creating a positive ambiance in his coffee shop is important to Serafine. Serafine only uses fair-trade organic beans to create different blends for coffee and espresso. “We do not say no to anything,” Serafine says. “It doesn’t matter if it is not on the menu, we will still make it,” Serafine says. Brianna Gauregui, 27, has been working as a barista for Serafine for about six years. “He has given me so much more confidence in being who I am,” Gauregui says. Serafine says he is currently in the process of exploring opening another coffee shop in the Phoenix area. “I love getting up in the morning; I love making customers happy; I love making great drinks for them,” Serafine says. Reach the reporter at Suaina.Tandon@asu.edu or follow @Suaina_Tandon on Twitter.